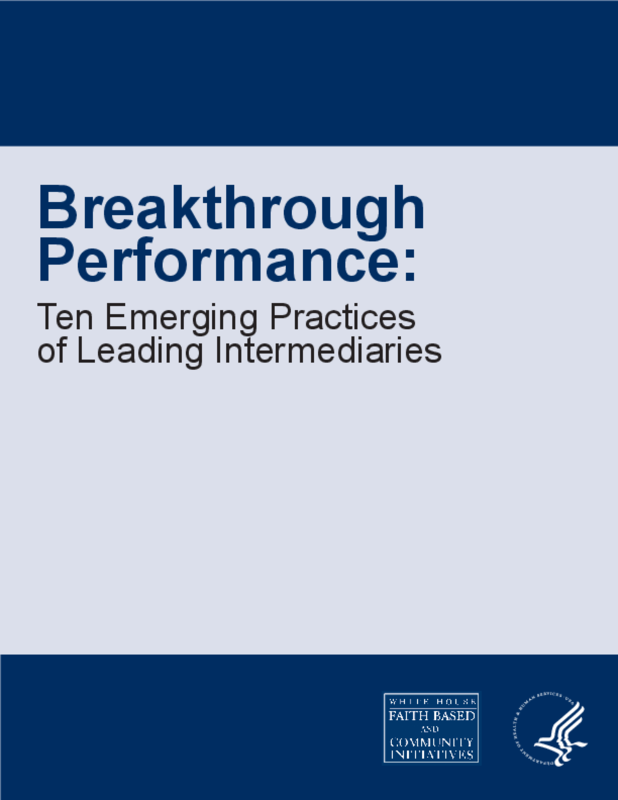 In Febuary 2008, eleven leading intermediaries gathered in the nation's capital for the Intermediary Summit to share practices that have led to breakthroughs in performance. This guidebook is the result of their efforts to deconstruct each practice and examine the elements that make it effective.The first section of the guidebook provides an overview of intermediary organizations: what they are, what services they provide, how they function effectively, and the benefits they bring to funders and community organization. The second part describes each of the emerging practices, including a case study of an intermediary who has successfully implemented the practice, the elements required to implement the practice, and its risks and benefits. The third section contains a number of implementation tools intended to faciliate the implementation of the practices. Finally, several appendixes contain the resources used in the creation of the guidebook, the methodology used to select the practices, contact information for the Summit participants, and a list of references. Copyright 2008 by U.S. Department of Health and Human Services. All rights reserved.